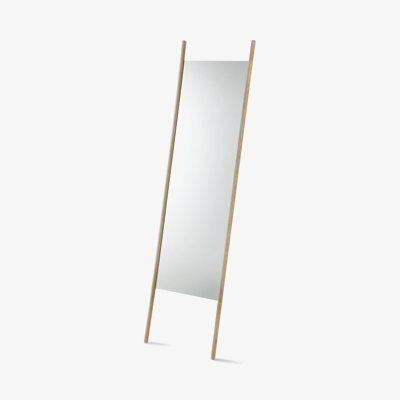 Georg Table Mirror is a wooden frame table mirrors with a simple aesthetic, designed by Chris Liljenberg Halstrøm for Skagerak. The extra-length poles that frame the mirror also act as supports when the mirror, small or large, leans against the wall. The extra-length poles also offer a place to hang personal belongings.